Brimming with energy when the sky turns dark? 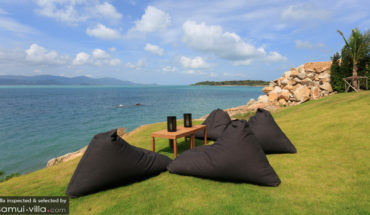 Be sure to check out these top five hotspots in Samui! 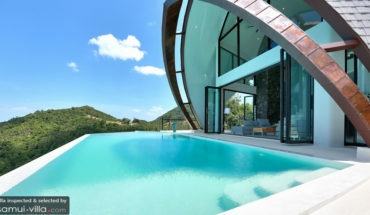 There is a venue for all the night owls in Samui, ranging from energetic party animals seeking a hip and happening hotspot to dance the night away, to holidaymakers in search of a fine bar boasting excellent drinks and a scenic view. 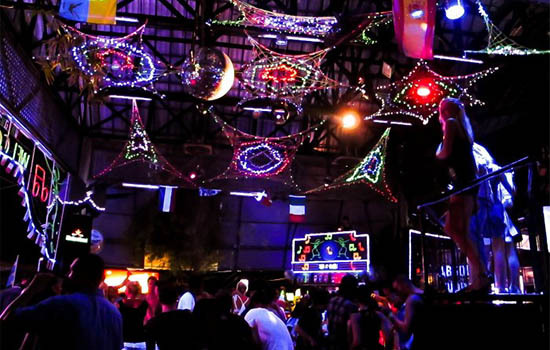 Travellers seeking a fun night out are spoilt for choice, and will not be disappointed! Party animals, do not miss out on a night of revelry at Green Mango Club! The club sits in the heart of Chaweng, and boasts an open-air design concept, as well as a series of bars and spacious dance floors. It also features large screens, a pool table, games and live shows to keep party-goers well entertained throughout the night. 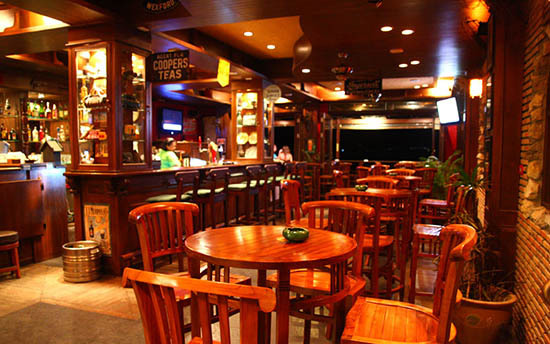 Green Mango Club remains open until the wee hours of the morning, and draws in lively clubbers leaving other clubs and bars within the vicinity when they close for the night. This is truly a spot for late night owls in search of endless fun! 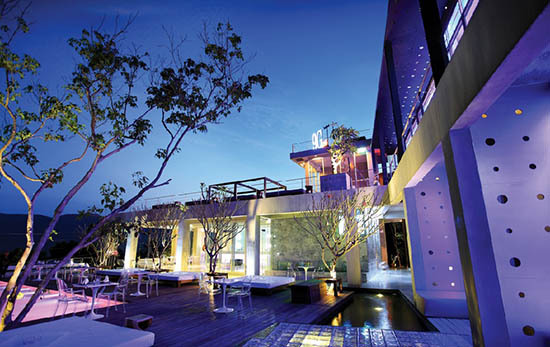 Swish and swanky, Q Bar Samui draws in a chic and sophisticated crowd. The bar is set atop a hill, and overlooks the surrounding town area and lake. It is an excellent spot to relax in for a round of cocktails during the evening, as one can enjoy scenic views of the sunset. As night beckons, the bar transforms into a cool and glamorous hangout. International DJs spin the decks, and live musicians playing during the night join in the fun by mingling with the crowds. 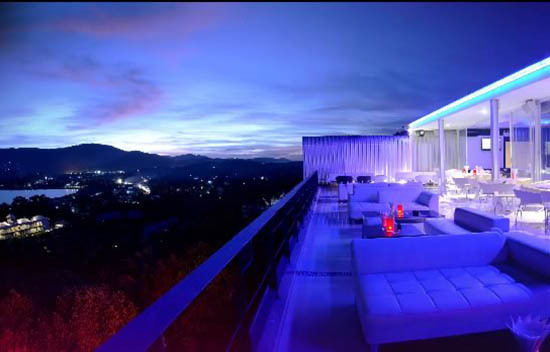 Modern, classy and sleek, 9Gems will appeal to travellers seeking a spot for a lovely night of fine dining in Bo Phut. The restaurant features an extensive wine list, a series of culinary delights and impeccable service. Diners will enjoy the picturesque sights of Chaweng Beach and Chaweng Lake as they wine and dine, and bask in the intimate and romantic ambience of the restaurant. Cosy and inviting, Emerald Bar and Restaurant welcomes diners with a wide array of delicious food served in generous portions, and an extensive selection of well-made drinks. The restaurant is situated in an excellent spot, and offers guests with sweeping views of the sea. Diners can also expect affable and professional service, as the owner and his team go out of their way to attend to the requests of all their guests. 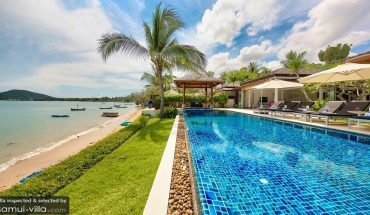 Villa travellers wishing to escape the crowds of sweaty dancers and banging beats of jam-packed nightspots along Lamai Beach can seek refuge at Lava Lounge. Step into the lounge, and you will be charmed by its inviting and homey interiors, adorned with an array of quirky lava lamps. Soothing tunes play in the background, and the bartenders serve a selection of excellent drinks. Without a doubt, the Lava Lounge is the place to be for laidback holidaymakers seeking a relaxing and enjoyable evening. What’s the best time for traveling to Samui?